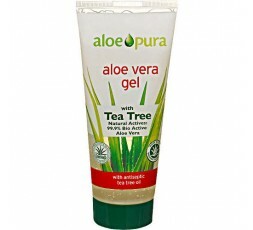 Aloe Vera Gel with the added benefit of Tea Tree Oil. 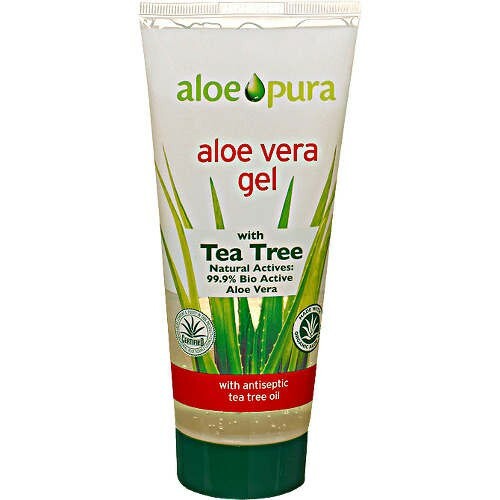 This paraben-free Aloe Vera gel cleanses, softens and helps restore dry and sensitive skin, with the added benefit of the antiseptic properties from Tea Tree oil. Organic Aloe Barbadensis (99% Bio Active Aloe Vera Inner Gel)* Melaleuca Alternifolia (tea tree oil)*, Polysorbate 20, Acrylates/C10-30 Alkyl Acrylate Crosspolymer, Disodium Edta, Sodium Hydroxide, Phenoxyethanol, Potassium Sorbate, benzoic Acid, Limonene, Linalool.